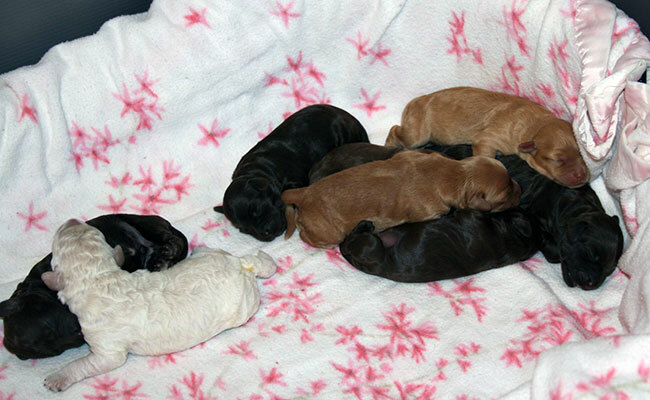 Suzie's Beautiful puppies were born on the eve of April 5th, 2019. 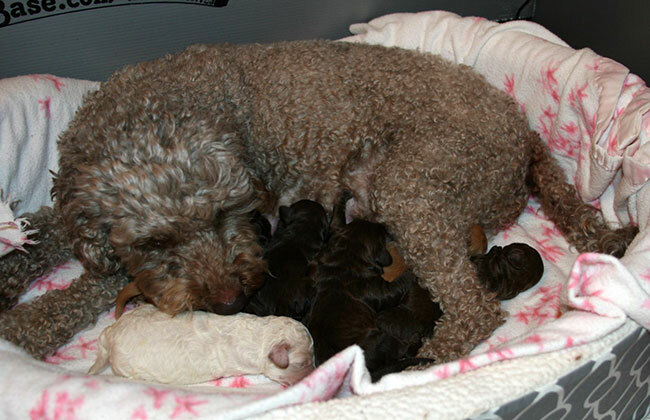 Suzie gave birth to 8 healthy, gorgeous puppies. She has 4 handsome Lil Gents (1 White, 1 Apricot, and 2 Chocolate). Suzie has 4 enchanting Lil Girls (1 Apricot and 3 Chocolate) Her puppies should mature out to 16-18 inches tall at their withers and weigh about 25-30 Lbs. Suzie's puppies will be available come early June 2019. Please contact us if interested. Thank you. 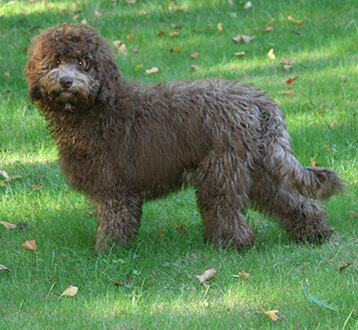 Aladdin Australian Labradoodles reserves the right to retain First Pick Puppy of any litters that Aladdin Australian Labradoodles produces. 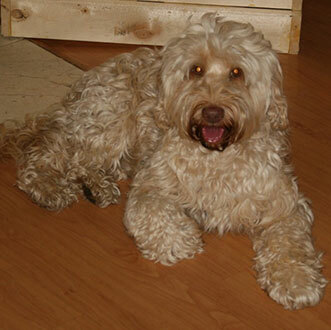 Click here to download the adoption application (requires free adobe reader).